Donna Bedrick is a writer, former fiction editor of an online magazine and writes reviews for a very select few. This was a personal pleasure. Bill Craig has hit another one out of the park with his newest book, Marlow: Indigo Tide, and it may be his best one yet. It's a Key West crime caper that will keep you turning pages until the end. Rick Marlow moved from New York City to Key West to get away from it all, but the nightmares followed him. They were always the same. He and his partner, Greg Noland, search for a body in that alley... Being blindsided, betrayed by his partner. Shot. It was that, and the rest of the stuff that made Marlow leave the New York Police Department and relocate to Key West. When Walter Loomis, an old family friend, hired him to track down Mary Colsom. She had an inheritance coming her way, but was no where to be found. Walter supplied everything Marlow would need - investigator's license, gun, money along with a file on Mary. The simple assignment turned into a waking nightmare of twists and turns for Marlow, forcing him to draw on his vast detective skills, and then some. As the plot thickens, you will be drawn into a world of blackmail, deception, crooked cops, international intrigue - guaranteed to keep you on the very edge of your seat. 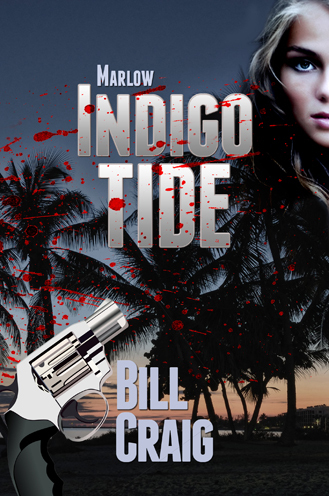 Marlow: Indigo Tide is a true must read. Kudos to author, Bill Craig, for again weaving his words to create magic.